Thank you for supporting the Old King’s Head! We now own the Old King's Head. But it is the local community who have taken it to their hearts, supported by the Heritage Lottery Fund. The Old King’s Head is a rare example of a late medieval coaching inn, located in Kirton on the once bustling route from London to Boston. In 2016 the building was empty and local residents became increasingly concerned about the fate of the building. We successfully fund-raised to purchase and carry out emergency works for the Old King’s Head. Our vision for the future of the building is to work together with local partners to reopen the Old King’s Head as a B&B, café and community hub. This would not be possible without the £1,987,300 funding from the Heritage Lottery Fund which comes directly from the proceeds of National Lottery tickets. This investment has encouraged others to support us and we are now only £44,000 away from our target of £2.4 million. Community fundraising and support has been essential to our success and have raised over £10,000 towards the project. Thanks to the Heritage Lottery Fund, the community brought itself together into a volunteer group. They up-skilled and have begun to reveal the fascinating history of the Old King's Head. 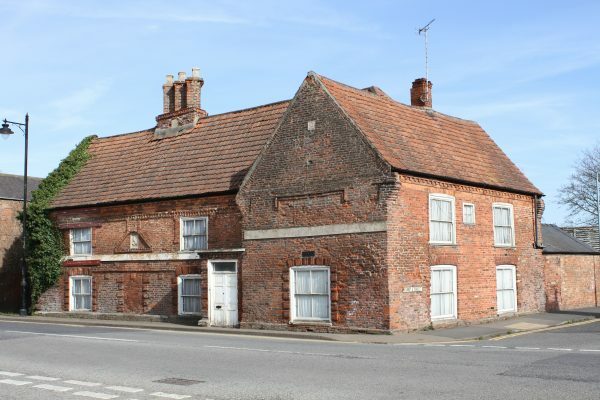 During the Tudor period, Kirton was a thriving market town near Boston and an important European port. The Wyberd’s felt this a good location to invest in a coaching inn. They even used brick throughout - an unusual and expensive material. However, they did not use the name ‘The Swan’ for long, changing it around 1660 to celebrate the coronation of Charles II. On Tuesday morning last the deceased was missing. Inquiries were made and the premises were searched, until George Priestley remarked that the copper (a large container for boiling laundry) was the only place not examined. The copper was nearly covered with a wooden lid, and on drawing the lid aside the body of deceased was seen.. The Coroner remarked that all the evidence tended to show that the deceased was distracted in mind, and not responsible for his actions. The jury returned a verdict of temporary insanity. Current residents from Kirton have taken the time to share their personal memories of the building. These ranged from visiting for cheese and wine each Christmas in the 1960's when the building was first converted into a house, to a boxing champion landlord back in the 1950's, and even playing billiards there as a teenager during the 1930's. 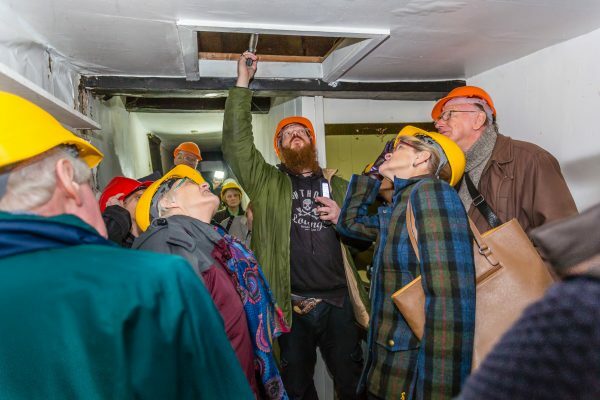 Volunteer-led research has uncovered 36 known landlords who have all added to the rich history and character of the Old King’s Head. Why not research the history of your own home? As a thank you for supporting this project through your lottery ticket purchases, here is a step by step guide. We hope it will inspire you to find more stories like ours! Most people choose to research their house, but you could look at any building, such as your local pub, or historic farm buildings. First of all, put your building in context. Explore whether it is close to, or set back from features such as the main road, or a river. You could also look at road names, or building names to give you clues about previous uses. Be careful, however, names can change or may mislead you. For example, Smith house could refer to a blacksmith that used to be on the site, or a family called Smith who used to live there. You can use Open Domesday to find the record about your area in 1086, or for a more recent look, use England's Places. This is an archive that is accessed through Historic England with photographs and plans of historic buildings and townscapes across England. Sometimes, the evidence is right in front of you. Characteristics of your building can help to date it, or suggest a previous use. For example, window style is often a good place to start. There are plenty of sites online that will detail the changes in features such as windows over time. You could also look at the door, roof, brick or timber types. Making a sketch is a really good way to record to what you see. It is also useful to take along to libraries and archives, to remind you of certain features. If your building is listed, then you can use the National Heritage List for England which is found on the Historic England website. The list records listed buildings, scheduled monuments, protected wrecks, registered parks and gardens and battlefields. You can also use the National Library of Scotland to find historic maps of your area online. They will help to show you when your building was built or extend, and how the land changed around it. Good places that can help you go further with your research are the Lincolnshire libraries and archives.